Angry Birds: Star Wars Wacky Wobbler Darth Vader Piggy Bobble HeadAwesome wacky wobbler from hit crossover game angry birds star wars ! 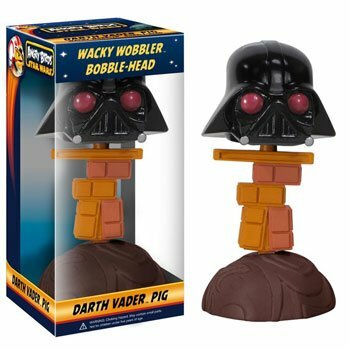 The star wars angry birds darth vader piggy bobble head features the darth vader piggy teetering atop a precariously-built stack of wooden bricks. It’s a great item for any fan of star wars , angry birds , or angry birds star wars !